Our relationship with the North Shore land managers continue to strengthen every year. When you email us, also consider emailing your local land manager whenever you see something you love or have concerns with on or around the trails! Although we always appreciate the positive feedback that is sent our way, it is important that the land managers hear this too. As we work closely with the local managers, positive feedback that they hear can go a long way. 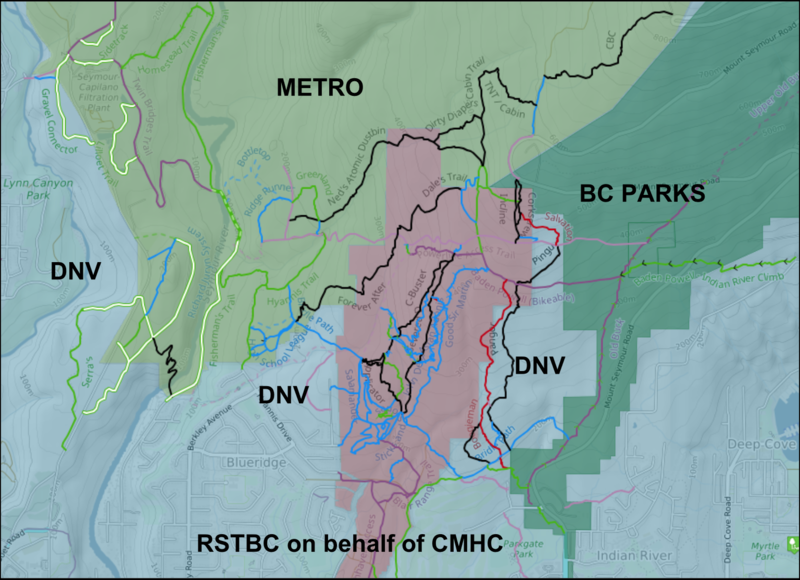 The NSMBA works closely with the District of North Vancouver (DNV) and Metro Vancouver to maintain and improve the local trail network. 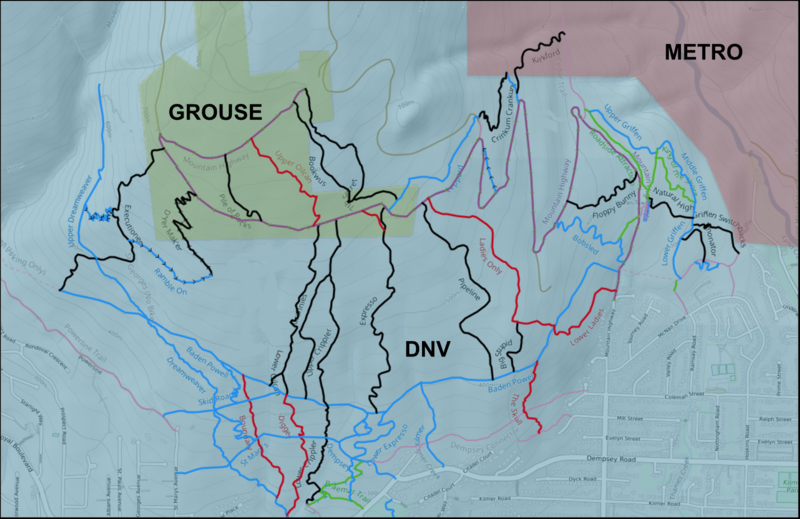 The DNV provides funding to the NSMBA through the Fromme mountain Trail Maintenance Agreement. Metro Vancouver currently does not provide trail funding. We also love to hear what you have to say, so please cc us at info@nsmba.ca in your messages. Thank you being involved.